2x GENERATORS 17.5 12v MDKBR KOHLER! 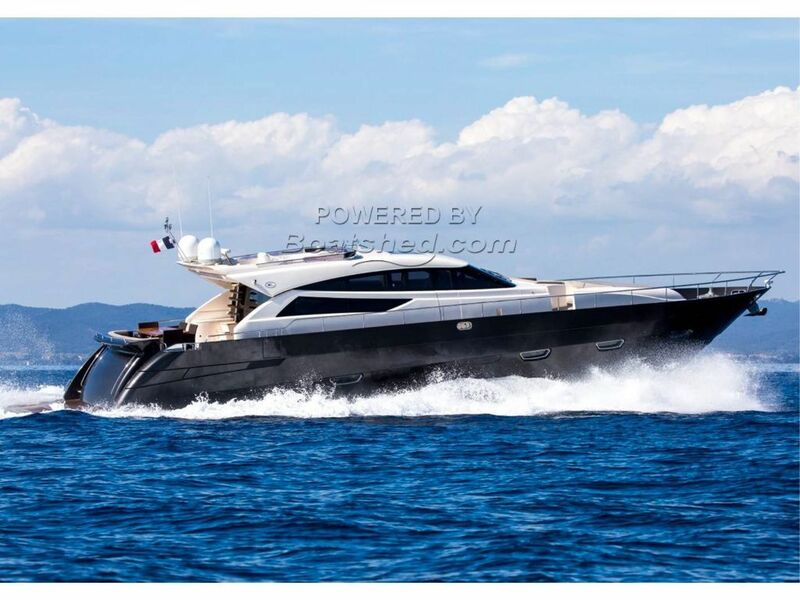 Built in 2010 by Cayman Yachts in La Spezia, Italy, as part of the yard’s 75ft Hard Top line, NEA MONI features an impressive Schiffini galley and comfortable salon with windows for taking in views of your destination. The appeal of an original creation in the strictest tradition of unmistakeable Cayman style. A fascinating “predator”, designed for sailing in absolute comfort and to stick out from the crowd. A lounge area worthy of a “villa”, an impressive “Schiffini” galley kitchen, a full air conditioning system and an electrically operated hydraulic sliding roof. A sophisticated bridge area, three separate cabins (two double cabins and one twin-bed cabin), each with its own large bathroom. Doors and walls panelled in solid bleached oak and edged in wengè and sought after fabrics lining the ceiling, which is outlined by concealed lighting that evokes a feeling of enveloping intimacy. Indoors there is a living area in the prow section, fitted with a sofa, sunbed and fold-away table, creating a veritable day area that is protected by an electrically operated hydraulic sunscreen. Large deck area equipped with a large table, a large sofa and a number of deck chairs. From the deck area it is possible to enter the double crew cabin with private bathroom. Via a watertight door, there is a staircase leading either down to the engine room, or up to the roof of the boat where a second fly bridge is located. Two symmetrical staircases are located at the stern, one covering the walkway and the electrical cables for jetty connections, while the other covers a change room and shower facility and the watertight door leading to the engine room. The vessel also has a stern platform and a garage housing a 3.40m tender. The vessel is powered by two 1675HP CAT engines and is also equipped with two 17KW power generator units, 5500-litre fuel tanks and 1200-litre water tanks (the vessel is fitted with a desalination plant with an operating capacity of 120lt/hr). The Cayman 75 HT is a true predator when it comes to devouring nautical miles, a safe and reliable vessel, made totally enchanting by its elegant design and its luxury and comfort, beautiful as a dream and strong as the passion that led to its creation: as always, 38 years of top class nautical expertise have left their mark. This Cayman 75 HT has been personally photographed and viewed by Antoine Perrin Daragon of Boatshed Riviera. Click here for contact details.